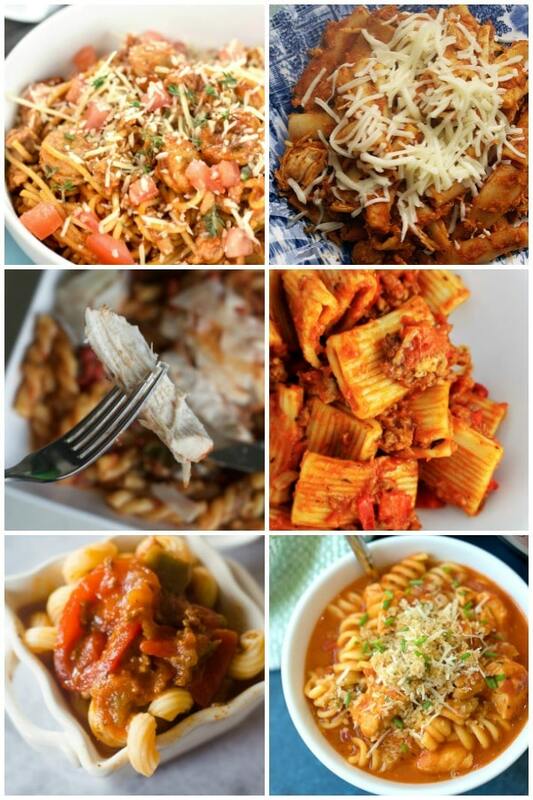 Who doesn’t love pasta? 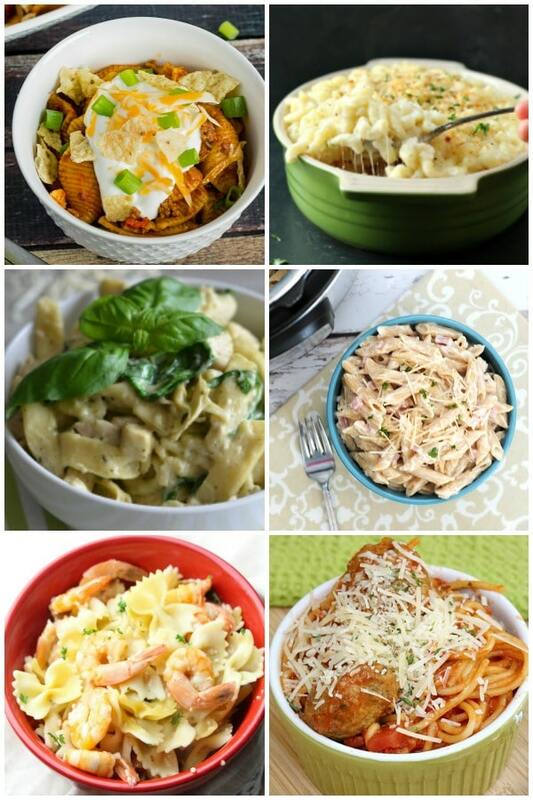 It’s the ultimate comfort food, and now you can feed your family in less time and with less fuss with these 30 Instant Pot Pasta Recipes. From classics like lasagna, spaghetti and rigatoni to veggie-packed pasta meals, you’ll find something here to suit everyone… even your picky eaters! Cheesy Taco Pasta | Aimee Geroux – What a fun twist on Taco Tuesday! Top this spicy pasta with sour cream and green onions to make it even yummier. 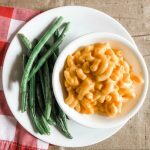 Three Cheese Macaroni | Garden in the Kitchen – Who doesn’t love mac and cheese? While kids will love it, of course, using a blend of cheeses gives it a more “grown up” taste. Chicken, Spinach & Artichoke Pasta | I Don’t Have Time For That! – You can never say “I don’t have time to make dinner” again. This takes under 10 minutes total, y ‘all. Ham Alfredo | Wondermom Wannabe – A creamy and satisfying bowl of pasta that your whole family will enjoy. Shrimp & Pasta | The Classy Chapter – A perfectly yummy and easy seafood meal that would be great for a romantic night in or just a weeknight when you’re super busy. 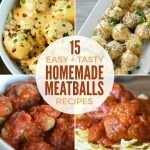 Spaghetti and Meatballs | The Simple Parent – This is an essential in my kid’s menu… how about yours? Chicken Noodle Soup | Savory Tooth – Comfort food in a bowl! 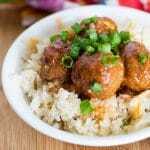 This is a must on any Instant Pot menu. Beef Stroganoff | Bacon is Magic – A classic recipe that uses real ingredients but is still made in a fraction of the time. You can’t beat that, can you? Instant Pot Stuffed Shells | Smashed Peas and Carrots – Jumbo pasta shells are stuffed with spinach and three kinds of cheese. What’s not to love? 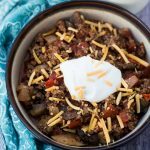 Instant Pot Chili Mac | The Typical Mom – You’ll have a complete meal ready in 15 minutes, and it’s a great way to end a chilly (pun intended) day. Pizza Casserole | Wondermom Wannabe – We love pizza casserole in our house, and this Instant Pot version was a hit! Buffalo Chicken Pasta | We Are Not Martha – Beautifully seasoned chicken is served over pasta. Yum. 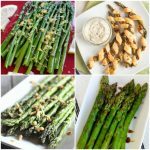 Add asparagus to the side, and you’ve got a well-rounded meal. 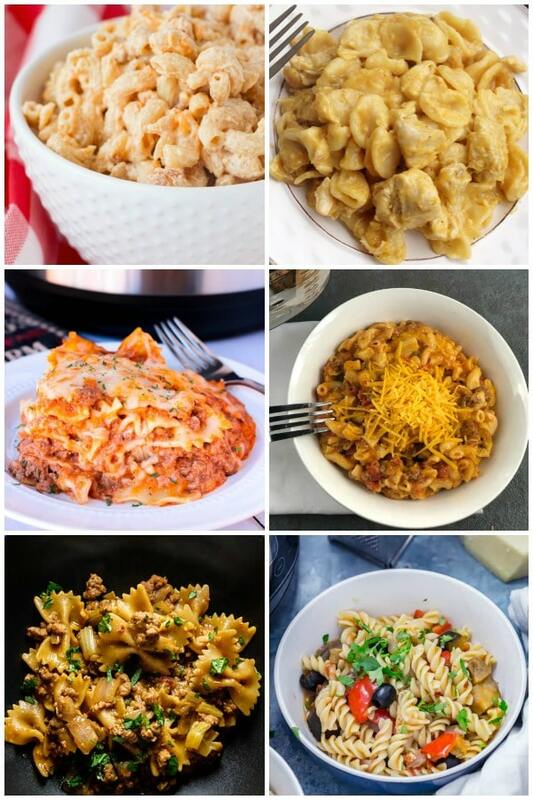 Mac and Cheese | The Classy Chapter – The kids will love this simple version as well as the three cheese version near the top of our list of Instant Pot Pasta Recipes. Cheesy Chicken Pasta | FoodNService – This is creamy and cheese – a yummy variation on the usual chicken meal. Easy Lasagna Pasta | Big Bear’s Wife – Lasagna is a classic, can’t miss recipe, and you can make it even faster using your pressure cooker. While finishing for a few minutes in the oven gives the cheese that perfect texture, it’s totally optional and can be made completely in the Instant Pot if you prefer. Instant Pot Cheeseburger Macaroni | A Mom’s Impression – This is a way healthier version of Hamburger Helper. Very kid-friendly! Ground Pork and Pasta | Sidewalk Shoes – I hadn’t found many IP recipes for ground pork, so I was so happy to find this one! It goes on sale a few times a year at our local grocery store, and we love to stock up. I’ll be making this for sure. Pressure Cooker Pasta with Mediterranean Vegetables | The Cook Report – This dish tastes a little “lighter” than the heavier casseroles and pasta dishes featured here and has a hearty helping of vegetables in every serving! Chili Garlic Instant Pot Noodles | Pinch of Yum – Perfect for when you want to pack a TON of flavor into a dish that you have only minutes to make. 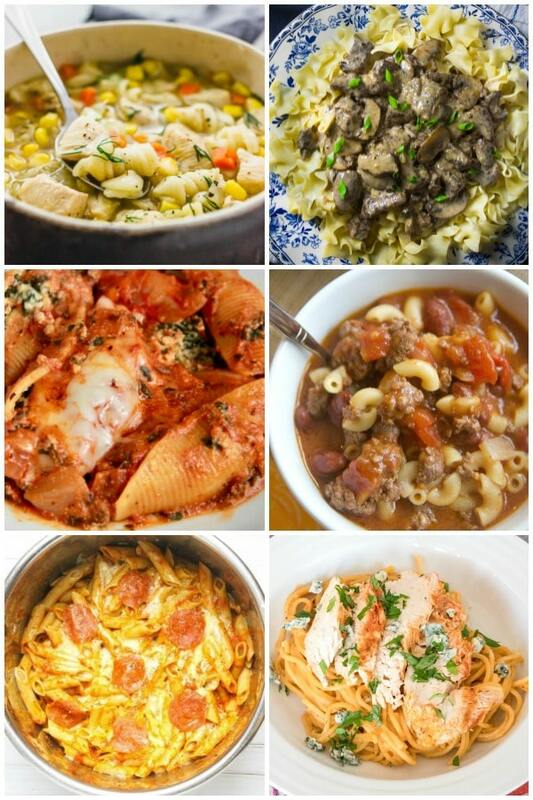 This is one of our favorites in our list of Instant Pot Pasta Recipes! 20 Minute Frozen Chicken Pasta | Live Laugh Rowe – This is the BEST when you’re as forgetful as I am. I almost never remember to thaw my chicken breasts, and now I don’t have to! Turkey and Tomato Penne Pasta | Recipe This – Cherry tomatoes, cheese and pasta make this tasty dish absolute perfection. Mushroom Pasta | Wondermom Wannabe – Make this for Meatless Monday or any other day of the week when you’re skipping meat. We love mushrooms as a meat “filler” in lots of recipes. Bacon Cheeseburger Pasta | Simple Hacks Living – This dish is meaty, creamy and cheesy — all the requirements of the ultimate comfort food. It’s one of my favorite pressure cooker pasta recipes! Sausage Spinach Pasta | Living Sweet Moments – Your kids won’t mind eating their greens when it’s added to this yummy dish. Lean Instant Pot Spaghetti | Simplistically Living – This dish uses chicken sausage and ground turkey for the meats and whole grain noodles instead of regular pasta to make the dish a little leaner. Chicken Parmigiana | FoodNService – You don’t have to worry about breading the chicken for this “lite” version of a classic meal. Pesto Chicken Pasta | ABCs and Garden Peas – 5 Ingredients and 10 minutes are all you need for this easy weeknight meal. Sausage Rigatoni | Aimee Geroux – Another Italian classic that your family will love. A commenter recommended adding white mushrooms, and I think I’ll try that next time! Instant Pot Italian Goulash | Wondermom Wannabe – You just can’t beat a simple goulash recipe like this. Chicken Parmesan Casserole | The Typical Mom – This is a bit like soup, and it has all the yummy flavors you love from chicken parm. 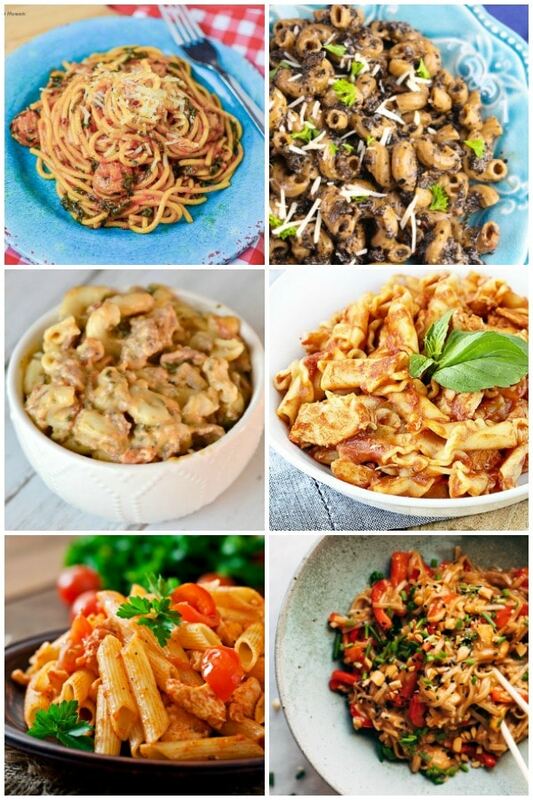 If you enjoyed this collection of Instant Pot Pasta Recipes, you should also check out our low carb instant pot recipes, especially if someone in your household is watching their carbs!